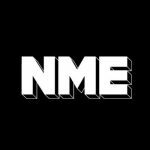 Sonos, sponsors of the Best British Band category at the NME Awards – won by Kasabian – recruited Radio 1’s Colin Murray to interview some of bands backstage. Check out the Soundcloud stream below to hear Colin’s lively chats with Tinchy Stryder, Johnny Marr, Kasabian, Marina, Carl Barat, Tribes, Tim Minchin and more. To watch the NME Awards, tune in to Channel 4 on Saturday night (March 3) at 11.55pm. Half an hour of highlights will be shown on T4 at 9.25am the same day. To read all about the awards and all the shenanigans from the night, pick up next week’s issue of NME which is on UK newsstands next Wednesday (March 7) or available digitally.